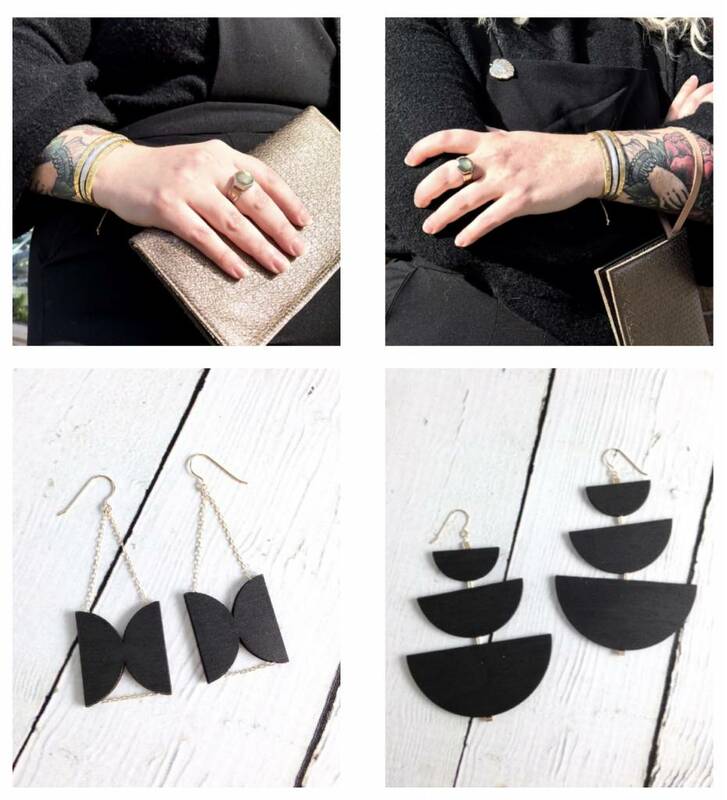 Molly M is a brilliant and skilled artist based out of San Francisco, with a knack for creating beautifully sustainable accessories using materials such as wood and leather. Her process includes using state-of-the-art lasers to cut the pieces, so each piece is precisely perfect every time. The bold geometric patterns and metallic colors make for memorable pieces that are sure to create a statement with any outfit! We love the idea of incorporating geometry and architectural aspects into jewelry that will last for years to come. Pop into our Mass Ave or Carmel shop to check out these must-have pieces.